The formula enriched with protective UVA and UVB filters helps to nourish and condition sun, sea or chlorine exposed hair. Coat your strands with the Sun Protection Spray before and during sun exposure to protect the hair and apply afterwards to deeply nourish and hydrate the sun-parched hair. Prevents hair color fading and keratin damage. For soft, strong sun kissed hair with a luminous shine. 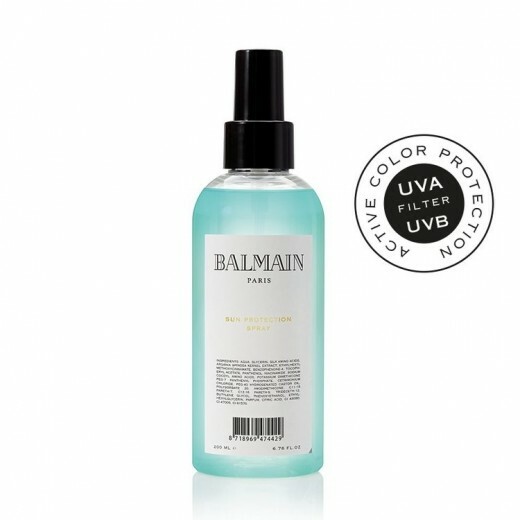 Use: Treat the Sun Protection spray like sunscreen; apply and reapply often to towel dry or dry hair. Do not rinse out.